In a small bowl, combine the cranberries, 1/2 cup sugar and almonds. Transfer to a greased 11-in. fluted tart pan with a removable bottom. Place on a baking sheet. In a small bowl, beat the eggs, butter, extract and remaining sugar. Beat in flour just until moistened (batter will be thick). 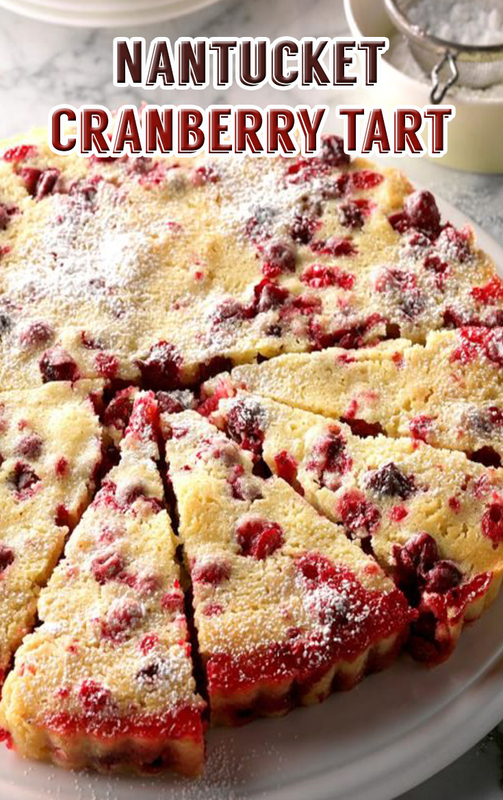 Spread evenly over berries. Bake at 325° for 40-45 minutes or until a toothpick inserted in the center comes out clean. Cool in pan on a wire rack. Dust with confectioners’ sugar. Refrigerate leftovers.